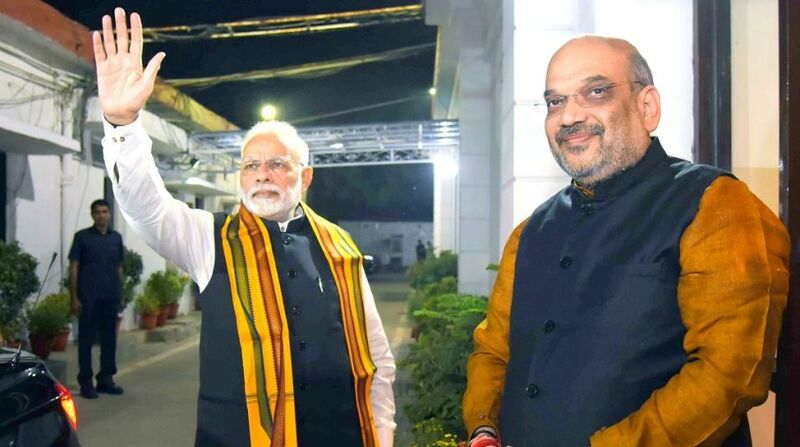 Prime Minister Narendra Modi and BJP chief Amit Shah on Wednesday reviewed the “pro-poor” policies of party’s chief ministers and deputy chief ministers as well as the possibility of holding simultaneous Lok Sabha and assembly elections, officials said. 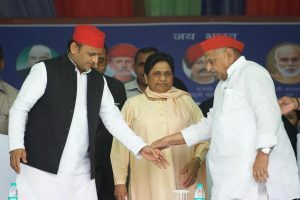 The Chief Ministers Council meeting, which has been an yearly affair since 2014, began at around 4 pm and saw participation from a number of senior party functionaries apart from the CMs and deputy CMs. According to reports, the meeting discussed ways to provide maximum benefits to the poor, farmers, Dalits, tribals, youth and women from the policies and programmes of the central and state governments. Ahead of the 2019 Lok Sabha polls, the Bharatiya Janata Party (BJP) is keen to position itself as a “pro-poor” party with a special focus on Dalits and other backward communities (OBC) vote banks, who have backed the party under Modi and Shah, leading to its win in many state polls. The states were asked to present the status of implementation of central schemes targeted at the poor, and socially and economically weaker sections like Jan-Dhan, Mudra, Ujjwala, housing and others schemes.